Elephant is a symbol of Thailand and have a close relationship among Thai people. We have various arts and crafts that present the well living between human and elephants, as well as the highest creature appeared in Buddhism. 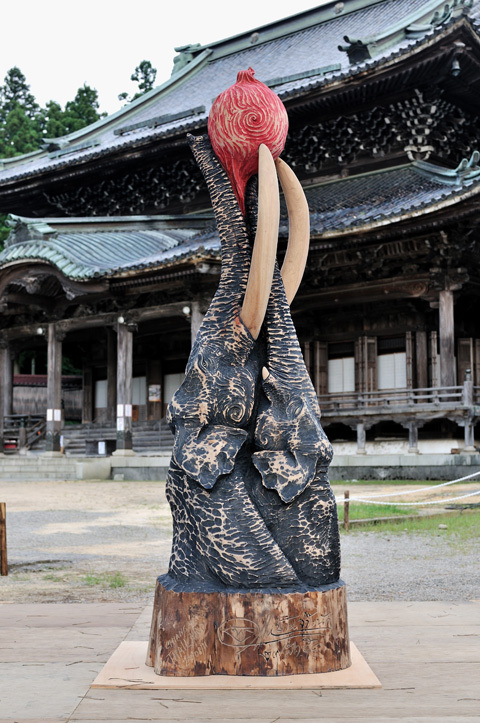 My work's title of the camp in Toyama concerns Elephant. The creature that well present a relationship among Thais and Elephants. I used my skills and my passion of carving elephants. Hopefully, I hope to be able to pass the message through my work to people who fall in love with these big creatures to help them to be survive in this world.